Beginning in the nineteen-thirties, thousands of fans thronged Philadelphia’s Municipal Stadium for the Army-Navy football game. As festive as the mood was inside the stadium, it wasn’t nearly so cheerful for the Philadelphia police officers who had to herd the crowds. The game was frequently held on the Saturday after Thanksgiving, and just as visiting fans were showing up the day before, holiday shoppers also would descend on downtown. On those Fridays after Thanksgiving, the late Joseph P. Barrett, a longtime reporter for the Philadelphia Bulletin, recalled, even members of the police band were called upon to direct traffic. The cops nicknamed the day of gridlock Black Friday, and soon others started to do the same. Retailers worried the phrase would scare people away. A few weeks after the 1961 game, which President John F. Kennedy had attended, the P.R. pioneer Denny Griswold described in her industry newsletter, Public Relations News, the efforts by Philadelphia merchants and city officials to rebrand the day Big Friday, in reference to the start of the holiday shopping season. (“The media coöperated,” Griswold wrote.) Big Friday didn’t stick, but the idea behind it did, in Philadelphia and, eventually, beyond. A few decades later, when the term came to describe a day when retailers’ ledgers shifted “into the black” for the year—a connotation also pushed by marketers—people assumed that had always been the connotation. How is your Black Friday shopping going? Or is it? Only the hardiest of microbes can survive inside a spacecraft clean room, where the air is stringently filtered, the floors are cleansed with certified cleaning agents, and surfaces are wiped with alcohol and hydrogen peroxide, then heated to temperatures high enough to kill almost any living thing. Any human who enters the room must be clad head to foot in a “bunny suit” with gloves, booties, a hat and a mask, so that the only exposed surface is the area around a person’s eyes. Even then, the technician can enter only after stomping on sticky tape on the floor to remove debris from the soles of her booties, and passing through an “air shower” to blow dust away from the rest of her. As always: life finds a way. Not only was this a discovery of a new species, it was a discovery of a new genus. The full paper, for those of you interested, is here. It starts at 6AM on Saturday, in the cold, dark Foxboro morning, as the Fox team shows up to unload three 53-foot trucks. Stadiums don’t have much in the way of built-in A / V equipment, so Fox (and every other network) carries everything the crew will need for the weekend inside those trucks — the show has to be built and broken down every weekend. This Saturday, it has to be even faster: there’s a college football game at 4PM. In one truck, graphics and production. In another, 20 feet away in the concrete garage underneath the stands, replay and audio. Russo estimates he has 15 cameras and 13 tape machines this week, capturing and replaying angles from all over the stadium — there’s even a helicopter flying around shooting from above. The graphics team, eight or so young guys in polo shirts, is preparing more than 1,000 graphics, with every record or outcome accounted for. Rich Russo and producer Richie Zyontz talk to everyone through speakers and headsets, voicing their constant chatter to the 150-member Fox crew throughout the weekend. Colby Bourgeios, the team’s technical director, sits at his giant switcher ready to put any camera, any person, any replay on TV with the press of one of a thousand buttons. Audio consultant Fred Aldous watches and listens on his own console, making sure everything sounds as good as it looks — in stereo and 5.1-channel surround sound. Eventually, nearly everyone says, you just learn to do it by feel. Fox has been using 4K cameras for three years, but not to broadcast the game, which the crew says would be pointless given current bandwidth and TV technology. It’s all about replay. “We can do things like zoom in, look at a guy’s foot… we can see precisely a nice, solid foot, and a line right there, and know that the guy is in,” says Colby Bourgeios, Fox’s technical director. This year is about fine-tuning — finding the right camera, the right lens, the right capture and extraction devices. But even when 4K works convincingly, Callahan says, “we need it to be the first or second replay. If we were to sit there and have a 4K replay that we could show two plays later… and that would have reversed the official’s call, well, that’s awful.” He won’t add anything to the Fox broadcast that will slow it down, or impede it in any way. Good read if you’re into football and/or sports. Staring at four computer monitors, Eric Scott Hunsader, the founder of market-data provider Nanex LLC, looks for hints of illicit trading hidden in psychedelic images of triangles dancing with dots that represent quotes to buy and sell U.S. stocks broken down by the millisecond. Charts of trading produced by Hunsader’s eight-person firm have captivated everyone from regulators to art gallery owners. One stunt involved a computerized piano piece mimicking quotes for an exchange-traded fund. He infuriates some traders, who say Nanex draws unwarranted conclusions and spreads conspiracy theories. To Hunsader, the images created from market feeds are evidence of high-frequency trading firms exploiting market rules to turn a profit in a lawless environment. Though others in the industry see his reports and charts as propaganda, Nanex’s interpretations are helping to drive the public debate about the fundamental fairness of the modern stock market. To illustrate computerized trading to the general public, Nanex has turned trading data into animated videos, with triangles and dots representing tens of thousands of orders dashing between exchanges. One video he posted on YouTube showed a 50-millisecond period in which quotes for Nokia Oyj dashed around the market at a rate of 22,000 per second. The video, published on Oct. 9, has been viewed more than 6,400 times. He programmed a computer to play piano notes corresponding to different bids and offers for a popular exchange-traded fund, resulting in a manic staccato composition even when slowed down. It was meant to highlight what Hunsader says is the absurdity of modern computerized trading. Worth reading the entire piece here. The oldest animal ever known lived from 1499 until the day researchers cracked its shell open, killing it in the process. Ming, an ocean quahog from the species Arctica islandica, was initially thought to be a record-setting 402 years old. But the scientists who found it on a seabed near Iceland in 2006 now say further analysis has revealed that it was an incredible 507 years old, reports CBS. The researchers, who didn’t realize how old Ming was when they first found it, opened the ancient clam up to judge its age by counting growth rings inside its hinge ligaments. That’s because the rings are “better protected” there, scientist Paul Butler tells ScienceNordic, which notes that Ming was named for the Chinese dynasty that ruled when it was born. But the rings were so close together that scientists ended up having to count the rings on the outside to be accurate, leading CBS to point out that Ming could have lived on, had scientists just started there. “We got it wrong the first time and maybe we were a bit [hasty] publishing our findings back then. But we are absolutely certain that we’ve got the right age now,” says Butler. The old, dead, mollusk still has a huge amount to offer science, reports the Herald-Sun. Scientists believe it will provide valuable data on changing sea temperatures over the last half-millennium—and maybe even some clues to longevity. This isn’t one of those things you can confidently proclaim as: because, science. 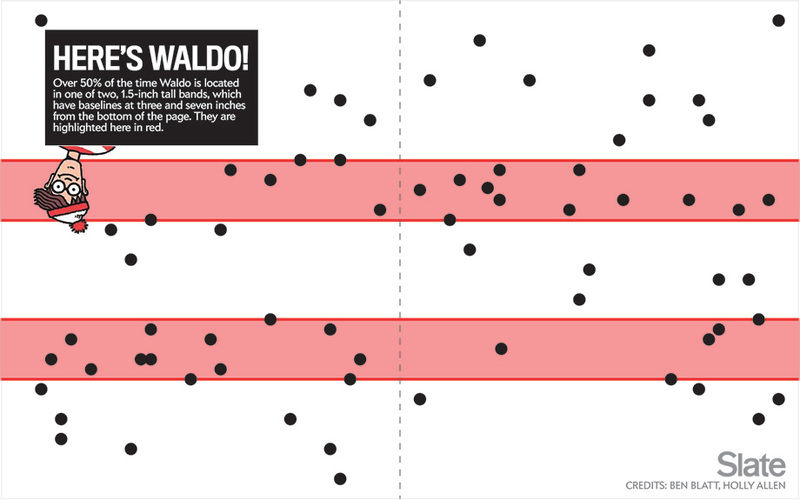 Ben Blatt, writing at Slate, has a very good analysis of looking at 25 years of Where’s Waldo? books to give an insight on where you should start looking for Waldo, if the challenge is ever presented to you. I knew that Handford had placed Waldo in each of these illustrations, and in my experience, all people—even people who make a living hiding cartoon men in cartoon landscapes—have tendencies, be they conscious and unconscious. True randomness is very difficult to achieve, even if you want to, and according to Handford he does not necessarily aim for unpredictability. “As I work my way through a picture, I add Wally when I come to what I feel is a good place to hide him,” he once told Scholastic. Knowing this, is it possible, I wondered, to master Where’s Waldo by mapping Handford’s patterns? I sought to answer these questions the way any mathematician who has no qualms about appearing ridiculous in public would: I sat in a Barnes & Noble for three hours flipping through all seven Where’s Waldo books with a tape measure. 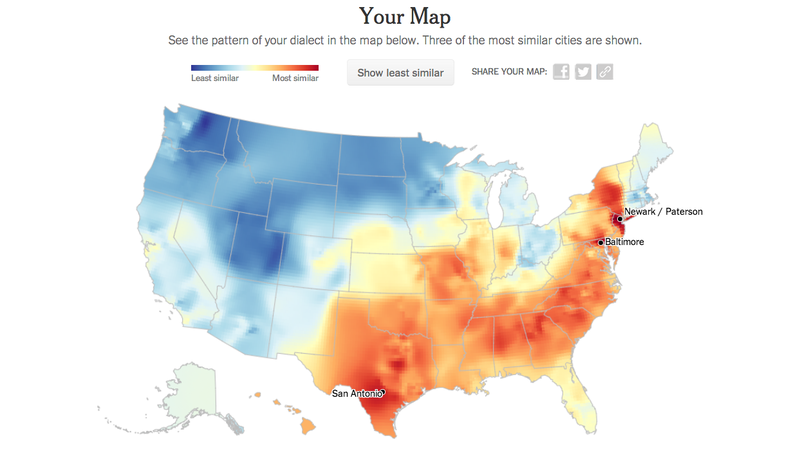 The map born of my experiment is below. This makes sense. Most people would start looking near the top or bottom or at the corners, so that would be counterproductive to place Waldo there. Ignoring the small sample size, this is a better search criterion than the alternative! Vancouver is the only city in Canada with its own building code, so the changes made here are often chased into the B.C. Building Code and Canada’s National Building Code, and then put into practice in cities and towns across Canada. Vancouver’s influence is wide. And as go the codes, so too goes the construction industry. Remember the regular toilet? Try to find one. Low-flush is all there is to be had. The incandescent light bulb? Sorry, just energy-saving fluorescent or LED now in most stores. The change has crept up on us silently and without fanfare. Look at any new condo building. Any new office door. Any door to a public washroom that doesn’t have pneumatic hinges and a push-pad. There they are, these silver, black or brass-coloured levers that can spring a door open with even a forearm when hands are filled. And, as doorknobs go, so too will go those other ubiquitous knobs, the ones that turn on and off water faucets. For they too are being legislatively upgraded to levers more conducive to the arthritic, gnarled or weakened hands we earn with age. I actually don’t think that’s a bad idea.